In today’s economy it’s no surprise that Australian homes are some of the most expensive in the world. Many of the younger generation deem buying property as unaffordable and out of reach. But we still want a piece of the Australian dream and property investing is still a wise financial choice long term. The plus side is interest rates are at record lows as well as loan options being readily available with so much competition in the market. But don’t despair, home ownership may still be within your reach. 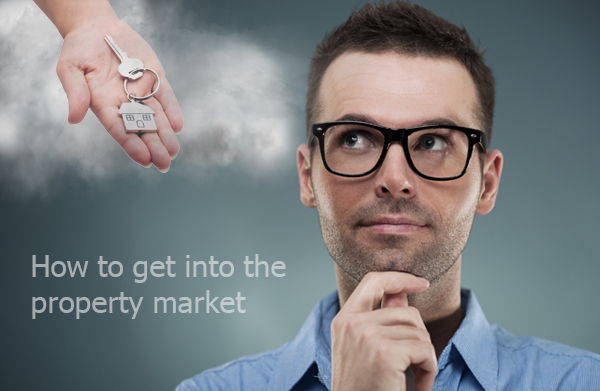 Here are some tips to get into the property market that you may not have thought of! Buy with your parents or friends. This option is a way to get a step into the property market by pooling finances and deposits together as well as making repayments more affordable. Just ensure you get legal advice to ensure the right ownership structure to avoid issues down the track such as selling. This is a scheme offered by the WA state government. For as little as a $2000 deposit or 2% of the purchase price, the scheme enables the purchase of a newly built off the plan property using a state government loan. The government retains part ownership of the home but you have the option to buy and sell when you please, and eventually own the property outright. In other states there are companies such as BRICKX where you can buy “shares” in a property much like shares. Buy an investment property first instead of a home to live in/ family home. By renting out your investment property you will be able to build a portfolio faster. Regional investment properties are a great option as they can be cheaper with better rent and yields. It could even be a cash flow positive investment that puts money back in your pocket or if it does make a loss it could reduce your taxable income. Ensure you speak to your accountant and get advice with the right loan options. A Bridge Loan is a short-term loan to a buyer who is typically in the process of both selling and purchasing or developing real estate. It could be a useful option to not miss out on a property that’s currently on the market. Other options could also be investing through superannuation or a managed fund. Again ensure you speak to the right professionals to make the best property decision for you. Saving a deposit for your first home and getting on the property ladder can be a challenge with current house prices, but there are alternative ways of achieving your goal and starting your investment portfolio. Contact us today to discuss the right loan and potential property investment strategy for you. 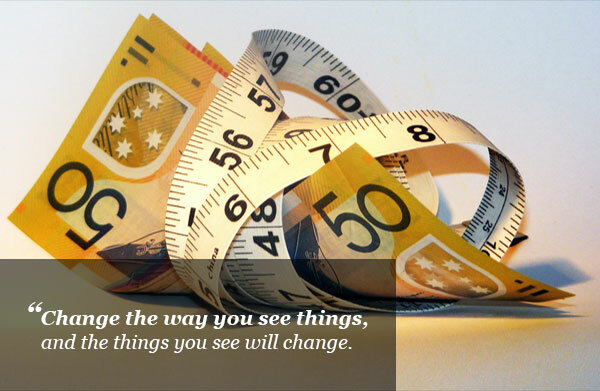 The financial decisions you make (or don’t make) today will inevitably affect your future. Good budgeting practises now lead to a more financially secure tomorrow and bad financial habits can sink your future into debt. 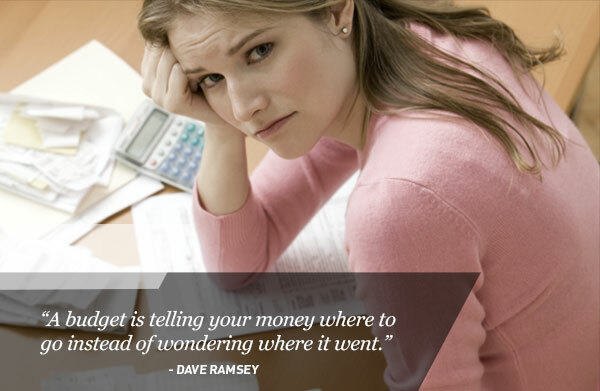 It’s impossible to stick to your budget if you don’t know where your money is going . It’s very easy to forget the small things such as a parking receipt but over time these things can eat into your budget. The easiest way to remember everything you buy is to update your budget regularly, every day if you can while your purchases are still fresh in your head. You could also make a note in your smart phone to enter in as you go! or make all your purchases with the same debit or credit card and keep track online through your bank app. Chocolates at the service station, takeaway coffees at your local cafe and checkout items especially if made weekly add up quickly as well. These seemingly inconsequential purchases like chocolate once a week, are costing you $8 a month, or almost $100 a year. Writing down even those minor $1 purchases every time can help you spend more wisely in the long run by seeing the bottom line effect they have. Blowing the budget happens. You go out for dinner that turns into drinks after. You go shopping expecting something to cost a certain amount of money that you’ve budgeted for – but it’s more or you buy additional items. And this happens a lot but how? These things do happen, however, if you know that you have a tendency to buy more than just one thing when you go to the store, or if you know that your friends have a tendency to change their plans, either avoid these activities or create a bigger budget for them ahead of time. Saying “I’m going to save” without determining how much by what time frame won’t set you up for success. Set some realistic goals with a specific and detailed action plan. For example, rather than saying you’ll save money, say that you’ll increase your superannuation contribution by $1,500 a year. Instead of saying you’ll spend less, say that you’ll cut $30 a week from your grocery bill or limit yourself to one takeaway coffee a week. Budgeting doesn’t have to be hard. You don’t need to create an elaborate system or use special budgeting tools to develop a realistic spending plan. You can simplify your budget by easily keeping a running total of your expenses using your smart phone or even an excel spreadsheet while having the freedom to update and adjust your budget regularly. Choosing an agent is one of the most important parts of selling your property. They will responsible for many aspects of the sale including listing, marketing, negotiating sales and legal aspects. 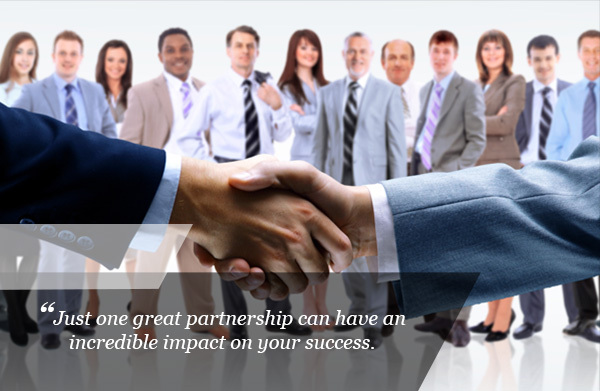 To choose the right business partnership in a real estate agent for your real estate transactions comes down to three parts. With websites such as realestate.com.au offering a “find an agent” tool as well as many real estate websites offering profiling information on their agents, makes searching for the “right one” a lot easier. Blogs, reviews and recommendations from previous clients on websites and social media will also assist you to make the right choice. Search for agents in your local area is a great starting point and arrange initial appraisals/appointments with them. Asking questions or finding out information such as: what is their experience as an agent, how long have they worked in the area you’re selling, how many property sales have they recently been involved in/currently have listed as well as their ability to answer your specific property information. These are all important things to find out so you get an idea how they can best serve you and your selling goals. Are they able to meet your requirements? Not theirs? Do they have the necessary professional credentials such as real estate institutes, memberships and the like? Do they have a good reputation and references from past clients? Do they know your local area well? Property and community? Do they have experience in the price bracket you’re selling? Do you feel you can trust them to deliver? Are they committed? Effective execution of legal and financial requirements. These are just a few of the initial things you need to consider when selecting an agent. Once you’ve found the right agent for you, now is the time for a written contract to be drawn up. We will be doing another blog article on what to look for in real estate agreements. Next week we will be sharing with you our real estate tool kit so keep an eye out for it in your inbox! So your home loan has been rejected. What now? With recent changes to lending requirements and banks sharpening their pencil in regards to the amount of investment and consumer loans their allowing, it’s now becoming harder than ever before to achieve finance. If you’ve been rejected for a home loan don’t panic! Different lenders have different criteria for mortgages, and one rejection doesn’t mean that you won’t be able to buy a home. Here are some simple yet effective steps that can assist you getting back on track and achieving a successful outcome on your next application. Your lender should be able to tell you the reason/s why you were rejected, which will give you the opportunity to change and fix things before your next application. It could be something simple that you missed! Create a plan before applying again. Research different home loan lenders – the more you know, the more informed you’ll be to make the best decision on who to partner with to get approved. Sometimes lenders decline because of your credit history. You will need to solve any outstanding issues with your credit file before applying again. If you do have late payment, missed bills get your finances in check and have reasons to explain your financial history to your next lender. For the future, ensure you pay bills on time and develop a regular savings plan. The more reliable you are financially, the better you will appear to future lenders. If the reason you were declined was credit card or other debts, look at consolidating or clearing your debt before undertaking any new loans. Reducing your credit limits or even cancelling cards can go a long way in the eyes of your future lender. Only those who give up fail! 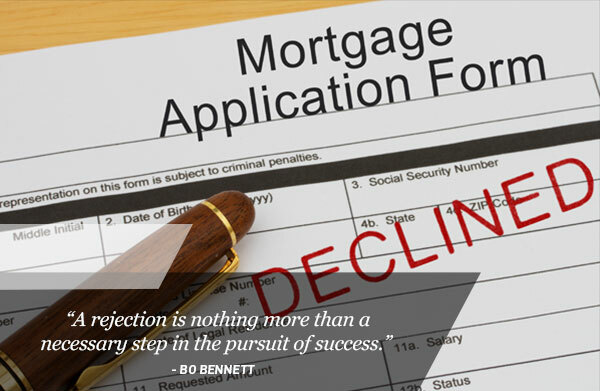 Always try again, there are plenty of lender options out there. There’s bound to be one that matches your budget and needs however you may need to change your expectations in terms of what you can realistically afford in repayments and what you can borrow. If you are rejected for a loan the key is not to panic. Loan rejection isn’t uncommon and it certainly doesn’t mean you will never be able to secure finance. Provided you show you’re a reliable financial customer with a good credit history and a sound savings strategy, you shouldn’t have too many difficulties obtaining finance. I still believe that finance brokers are the best option currently for securing finance. A good broker’s knowledge about the mortgage landscape, current stipulations with different lenders and suitability to your personal circumstances can prove invaluable when trying to access funds. Please as you continue to build your portfolio the broker becomes an advisor on your journey aware of your personal lending history, needs and ultimate goals. It can be confusing what type of mortgage to get. It’s not only important to check the right rates for you but make sure you’re getting the right features in your home loan. Becoming a parent can be an exciting journey. It can also be an expensive one so it’s important to prepare for the new addition in your life. Upgrades at home—you may need to make baby friendly changes, paint and decorate the baby’s room. Doctor’s bills and hospital expenses. Saving for these well in advance will assist greatly especially if one parent will be taking time off work or a reduction in income. Many parenting blogs out there say new parents underestimate the ongoing costs of raising a child/children. According to the AMP.NATSEM survey, a first child can cost on average $281 per week. Food, clothes, child care, education, hobbies and a range of other costs can continue growing and impacting your household budgets. Taking the time now before baby comes to get your budget in order and creating a long term savings plan will help you in your new role as parents. Essential living costs such as loan repayments, mortgage/rent and other regular ongoing expenses. Any government contributions you may be entitled to. Day care and other care expenses. With a budget in place, you’ll begin to understand the costs you’ll need to be prepared for. Sticking to this budget will be easier if you set up a baby savings plan and automatically save money for these upcoming expenses. The earlier you start saving the better, even if you’re not starting a family just yet, you can still put a savings plan in place today. 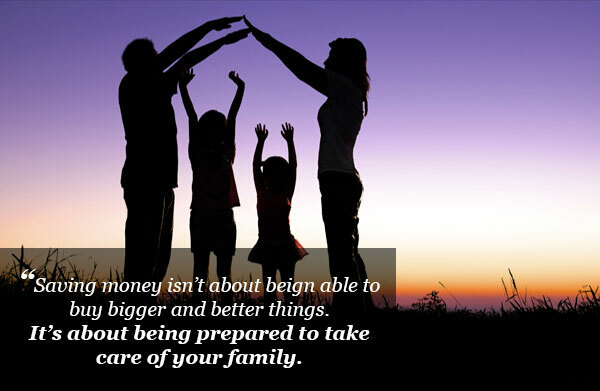 Starting a family is a major life event, so it’s important to seek help in managing your finances if you need to. Getting professional advice ensures you can make the most of any money you earn before the baby’s born and avoid financial stress at a time that can be one of life’s most special events. Who doesn’t want to pay off their home loan as quickly as possible? With a little extra investment each year, you can save years off the length of your home loan and save thousands of dollars. When you pay just the minimum on your loan, most of your repayments in the first few years simply go to paying off interest. Paying just a little extra can help you start bringing your loan balance down right now, potentially saving you years off your mortgage. One of the simplest things to do to paying your loan off faster is to switch from monthly to fortnightly or weekly repayments as this means making an extra months payment during the course of the year. Tax refunds, bonuses and other unexpected income can be made the most of by investing some or all into your mortgage – it can make a huge different in the future. Much like your local café loyalty cards, if you’re a member of certain organisations (mostly professional) you may be entitled to home loan discounts with certain providers. It doesn’t hurt to ask your lender! We all know interest rates are at all time lows. When was the last time you reviewed your loans? You can either take advantage of lower repayments to boost your spending or keep your repayments above the minimum and pay off your loan faster instead. It could save you thousands of dollars. If you haven’t purchased your property yet, now is the time to review what you can afford and the best loan to suit your situation. There are many tools online including mortgage calculators so you can make the best decisions possible. Paying off your home loan is a great way to free up extra cash for other priorities in life as a long term goal that creates a better lifestyle for you and your family long term. We work with our clients to develop a strategy for regular health checks on their loans which can include better interest rates, better deals, different products that better suit where they’re at now and what they want to achieve. Contact our specialist team for a FREE review of your current loans and advice on whether you would benefit from a refinance strategy! What does it really cost to buy your first home? Buying your first home is an exciting step in your property journey, but it can be a daunting one. According to financial home loan surveys, four out of five future first homebuyers don’t feel well informed about the property purchase process. One of the main concerned to get informed about is the costs, it’s not just the property you need to pay for. When you get a home loan, it’s likely you will have to pay an application or loan establishment fee. The cost of this fee varies on the lender you go with and can be as much as $1,000. Lenders Mortgage Insurance (LMI) insures your lender against any loss incurred if you default on your home loan and is needed on all home loans when you borrow 80 per cent or more of the property value. Stamp Duty is a state government tax .It’s usually the largest cost and is based on the purchase price of the property and paid prior to the settlement. As a first home buyer, you could be entitled to stamp duty concessions, but these vary from state to state. As a first home buyer, you will need to pay an admin charge by the Land Titles Office. This fee is charged for registering the mortgage on to the certificate of title for the property. The fee differs depending on your state from $85 to $125 per registration. Your solicitor or settlement agent will charge you a fee to carry out the legal work on the property transaction. Be sure to ask about the costs of searches, settlements and disbursements which could be extra. You will be advised to arrange pest and building inspections by qualified inspectors before exchanging contracts. These inspections will ensure the property is not affected by insect infestations and it is structurally sound and is building regulation compliant. It is usually a condition of the loan settlement that your lender will require all security properties are covered under a building insurance policy. Before buying, it’s wise to work these additional costs into your budget, so you know what to expect and know how much you can spend on your first home. Is it your time to become a first home buyer? Our wealth creation and finance specialists will sit down and go through each step of the process in a simple and easy to understand manner presenting you with options.